Sitting on top of a mountain in Colorado for a week, disconnected from life and the rest of the world, brings a rest to the soul that is hard to describe. 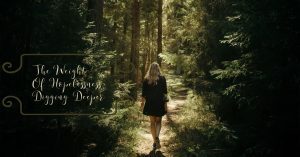 That time of silence and solitude made my husband and I realize we weren’t doing enough to observe a time of dedicated rest, or sabbath, in our lives. We were good at disconnecting from work and obligation, rest didn’t feel life-giving. 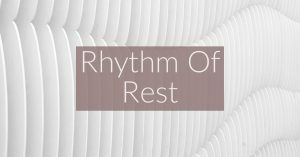 With four teenagers, a full-time ministry position for my husband, a dog, a full-time job for me, a weekly community group, friends, school and much more…the idea of true rest often felt like a cruel joke. Yet, what we began to grasp was the truth that, if we were willing, we could enjoy the kind of rest God desired. Intentional decisions and planning were required, but it wasn’t out of reach. 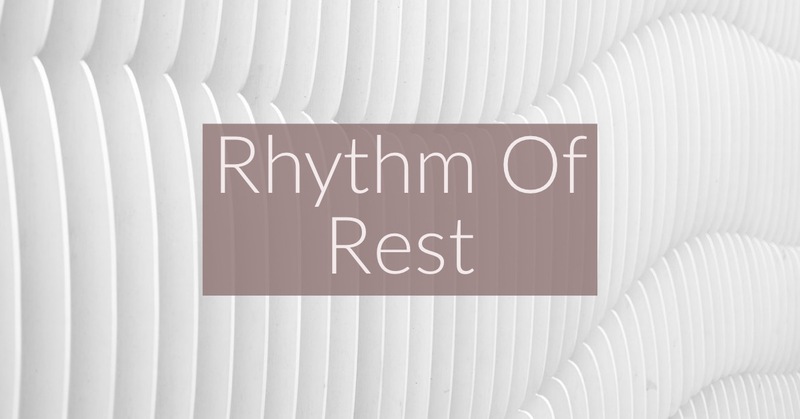 To understand why we were committed to making adjustments in our lives, you first have to understand how sabbath rest serves to distinguish, focus, and remind. In our pride, we think we know better. In our greed, we think we need more. In our need to be the best, we think we need to do more. In our need to be important, we think we must been seen. None of those beliefs lend themselves to rest and pulling back. Sabbath is admittedly counter-intuitive to our current cultural way of life. But God’s desire is that as His children, we distinguish between the common and the holy. Six days are common and we work just like everyone else; but then, there is one day where we are to declare how we are different (Ezekiel 22:23-26). When we ignore the Sabbath, it ends up looking like any other day. We’ve declared the common to be enough! Setting aside the cares, burdens, and work of the world opens the ability to reflect on and think about the God of the universe. Throughout scripture, we see God time and again instruct us to remember. With the Sabbath, we are to remember a couple of specific things:  God’s work AROUND US through His creation (Exodus 20:11) and God’s work IN US as He sanctifies us (Exodus 31:13), making us more like Christ. Perhaps my favorite benefit of observing the Sabbath is its purposeful  reminder that I am no longer a slave, but have been set free (Deuteronomy 5:15). Regularly reflecting on what my life was like without Christ, realizing all God has done to rescue me, and acknowledging that I could not do that on my own, has a profound effect. I remember how imperfect I am. I am aware of my desperate need for salvation. Realizing our need for salvation isn’t just a one-time thing. Sabbath reminds me there is freedom available. Sabbath reminds me there is a God willing to rescue. Sabbath reminds me I cannot do this on my own. Coming home from our time in the mountains, we had a strong commitment to adjust how we would intentionally observe the Sabbath; but reality has proven it difficult to remain consistent. Resting well requires us to work well. To enter into our sabbath time with the ability to remember, focus and be aware of God and His work, we must do the prep work to allow these to happen. When we do that, we experience the life-giving, empowering and rejuvenating joy God gives as a result. And then there are the questions…. Is it ok if we….? 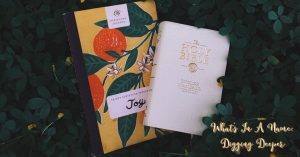 We can quickly get caught up in the “rules and regulations” of what is or isn’t “Sabbath” to the point that it’s no longer restful. Mark Buchanan, in his book The Rest of God, provides two principles that characterize a healthy Sabbath: DO NOT DO what is necessary; DO what is life-giving. Those have become our Sabbath filter. The simplicity has helped us let go of questions and concerns about doing it the “right” way. Our Sabbath doesn’t look like others, but it honors the expectations that God has put in place for us. We can follow the command to keep the observance (Hebrews 4:9), yet we have freedom in how that takes shape (Colossians 2:16) through the gifts gained in Christ. The fight for Sabbath is worth it! Thanks for joining us today as we journeyed into Dwell Week One! Don’t miss out on the discussion below – we’d love to hear your thoughts! Check out The Weight Of Hopelessness! 1) What was the man hoping to hear from Jesus when he approached him? 2) What did Jesus’ response reveal about true hope? 3) Why did the man walk away dejected, despite the fact that Jesus did give him an answer? 21 Looking at him, Jesus loved him and said to him, “You lack one thing: Go, sell all you have and give to the poor, and you will have treasure in heaven. Then come, follow me.” 22 But he was dismayed by this demand, and he went away grieving, because he had many possessions. 1)  What was the man hoping to hear from Jesus when he approached him? I can almost hear this man’s thoughts as he runs up and kneels at Jesus’ feet, seeking His approval, and desiring to justify himself. Did you notice the man called Jesus a “good” teacher, and Jesus brought that out in His response? 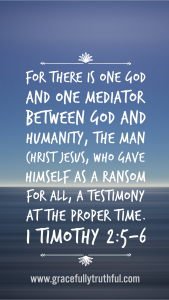 Jesus tells the man that if he acknowledges Him as “good”, he is agreeing that Jesus is a prophet/teacher from God and is therefore owed the authority and deference that would be given to one sent from God. Without saying it, Jesus essentially warns the man, “Remember that you called me ‘good’ when you don’t like my answer.” The man asks Jesus what is required for eternal life. Jesus reminds him of the commandments, and the man quickly responds, “Teacher, I have kept all these from my youth,” (verse 20). CHECK. AND. DONE. The man had to feel victorious in that moment. Jesus knew the man wanted the easy answer of “you’ve done enough.”  The man’s works were the center of his hope. He wanted to hear that he was good enough, had done enough, and was “in” for eternal life. All because of his own efforts. 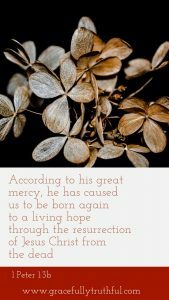 2)  What did Jesus’ response reveal about true hope? Jesus knew the reality that this man was putting his hope in his own works and earthly possessions before He ever heard his answers, yet it didn’t change Christ’s love for the man. In fact, Jesus loved this man enough to tell him about true hope. Jesus exposed to the man what was still a false hope in his life (his works and his riches). Jesus then shared with him that hope always has to be in a Person, not in things or works. “Follow me” was the only hope this man would ever know and it would require him to let go of all else. Jesus was clear about His expectations and not afraid to ask for more. The man had hoped his works would be enough. But Jesus said there was more required: to give it all up and follow. However, the man’s riches proved to be a hindrance that would keep him from fully following Jesus. The man loved what he had more than what he would gain from accepting Jesus’ challenge. In that moment, the man chose to love his riches and the false hope of good works, over the One who could have given him everything he truly desired. Just like the man who approached Jesus, many of us and those we know, look for the same answers: easy checkboxes that say “Yep, you’re good and don’t need to do anything else.” However, the work of sanctification is a lifelong pursuit. We will never fully arrive. We never get to the point of being done and accomplished on this side of eternity. There will always be more growth for us to do. Psalm 39:7 says, “Now, Lord, what do I wait for? 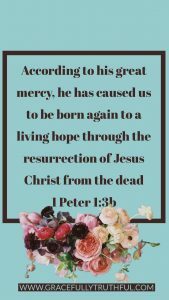 My hope is in you.” Jesus alone completed the work of a perfectly righteous life. As humans, we are unable reach that level of perfection. Instead, all we need is to believe that Jesus was the perfect son of God. And His perfection makes it possible that we don’t have to be. Are you willing to hear the truth about hope? Jesus’ teaching proved to be much harder to accept than the man in this passage had bargained for. Often this is our same experience. But just like this man, Jesus loves me, and you, enough to tell us the truth about hope. Titus 3:7 says we are justified by grace through Christ’s death on the cross, which gives us hope. Jeremiah 14:22 warns us that worthless idols can do nothing, so our hope must be in God alone. Ephesians 1:18 promises us the hope that comes through His calling in our lives; He gives us meaning and purpose in a way that nothing else can. 1 Timothy 4:10 says that since our hope is in Christ alone, this is the reason why we labor, rather than in any wasted effort to save ourselves. And what about those you know who are putting their hope in good works? Are you willing to share the truth about hope? To ask them how they will know when they have reached enough? To let them know that hope comes in Christ alone? Unfortunately, I can resonate with this man’s story. 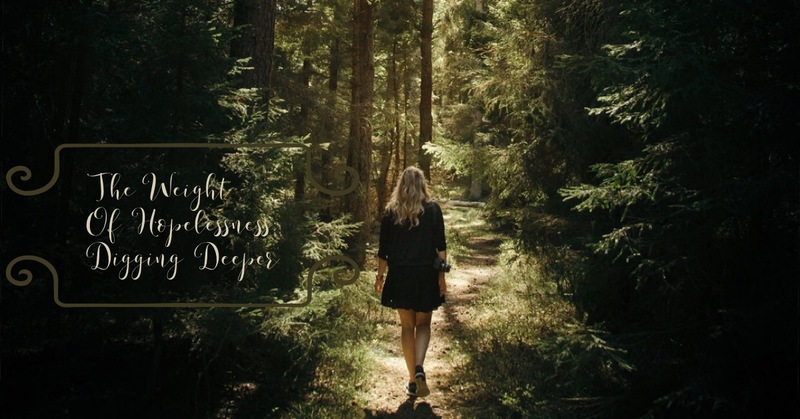 For years, my career was the one thing I would bargain with God over. ”You can have anything in my life…please just don’t ask me to give this up.”  What about you? Are you clinging to anything over Christ? Like the man in this passage, what do we miss out on when we make that choice? Psalm 62:5 says, “Rest in God alone my soul, for my hope comes from Him.”  Trying to earn our way in and do enough is exhausting. Rest comes when we place our trust in Him alone. When we are finally willing to make that transition, our rest and hope will be noticeable to the world around us that is still busy striving to earn something. In those moments, we have the opportunity to share the truth of the gospel, the “…reason for the hope that is in [us],” (1 Peter 3:15). This is our calling. This is why we have been set apart, to bring His hope to the world around us that is still busy striving and looking for more. Catch up with The Weight Of Hopelessness! This is Roads Week Three! 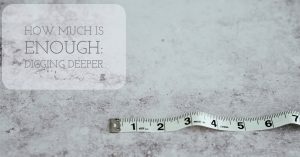 Check out How Much Is Enough? 1) What does John mean about Jesus being the light in the midst of darkness? 2) What is John saying when he writes that Jesus is the Word who became flesh? 3) What is the importance of Jesus bringing grace and truth (verse 17)? 1) What does John mean about Jesus being the light in the midst of darkness?John’s gospel about Jesus’ life and ministry is written toward a Greek-thinking culture, Hellenized Jews and Gentile Greeks, driven by intellect and reason. John’s goal is to capture for them the true identity of Christ as the one and only Son of God. He opens his gospel account with the tangible metaphor of Jesus being the light in the darkness. He uses the image to contrast that Jesus is different and stands out from all other sources of light; to acknowledge the real battle between spiritual darkness and spiritual light; and to say that Jesus is the one and only true light, unlike any other man. 2) What is John saying when he writes that Jesus is the Word who became flesh?In Genesis 1, the world is brought into being through the power of God’s word, as every part of creation is spoken into existence. John states that Jesus is, in fact, the source of those words of God and therefore was, and still is, God. John wants his readers clearly understand that he is writing about someone who is much more than a mere man; instead, Jesus is God, who became flesh, in order to reveal Himself to the world. Jesus’ coming in the flesh did not change his identity as God in any way, but served to reveal to humanity the invisible God they had been unable to approach and see up until that time. John writes to the people first about Moses bringing the law to God’s people. Transitioning, he tells them that something even greater has arrived. He makes the statement that, “…grace and truth came through Jesus Christ,” (verse 17). For the Jews reading his words, John addresses how Jesus gives grace, emphasizing that grace is critical in even being able to follow the Law. This was a critical point because for centuries the Jews had been trying to follow the Law in their own strength as a means for salvation. But Jesus brings grace to fill the gap between our inability to follow God’s perfect law and God’s righteousness. For the Greeks reading his words, John tells them that Jesus is truth. Not just a truth, but THE truth. This would have been significant, and important, to the Greek people, as truth was an important pursuit to them culturally. 1) What does John mean about Jesus being the light in the midst of darkness?Jesus is different than any other man. First, we must be clear on that in our own thinking. We should not make Jesus out to be any less than who He is. Second, we should be careful in how we present Jesus to the world around us to clarify His uniqueness. Jesus is altogether different from any other figure in any other religion. There are many religions that will acknowledge Jesus as a good teacher or prophet, but that doesn’t go far enough. He was, and is, the Son of God. Anything that makes Him less than that doesn’t line up with the truth of Scripture. We must stand firm in that truth. 2) What is John saying when he writes that Jesus is the Word who became flesh?We cannot waver on the truth that Jesus was fully God, yet became flesh to walk the earth. We must share that same truth with others when we want them to learn more about Jesus. That is what makes Him so distinct. In Jesus’ humility, He loved us enough to dwell among us and make Himself like us by taking on a human form. In the Old Testament period, God would dwell with His people in the Tabernacle and then in his holy Temple. The literal meaning of the Greek in this verse is that Jesus came “to tabernacle” with us. He did this to help us understand God’s true heart for His people and the efforts He was willing to make to reconcile us to Himself. The teaching about Jesus being both grace and truth is as relevant in our world today as it was to John’s original audience. In a modern world that can be harsh and can feel like nothing we do is ever good enough, the message of grace is a welcome relief. Instead of constantly striving to do or be more, grace gives us the assurance that Jesus will do for us what we cannot do for ourselves. He is our perfection. In that, we can find rest and peace; this is a message that is needed by so many! In a world where truth is relative, subjective, and shouldn’t be questioned, Jesus offers an absolute. He removes the confusion of what is real and right. He brings clarity. Think of those in your life; who needs to hear the message of Jesus as grace? Who needs to hear the message of Jesus as truth? How can you share the hope that Jesus offers with those people in a way that is winsome and inviting? 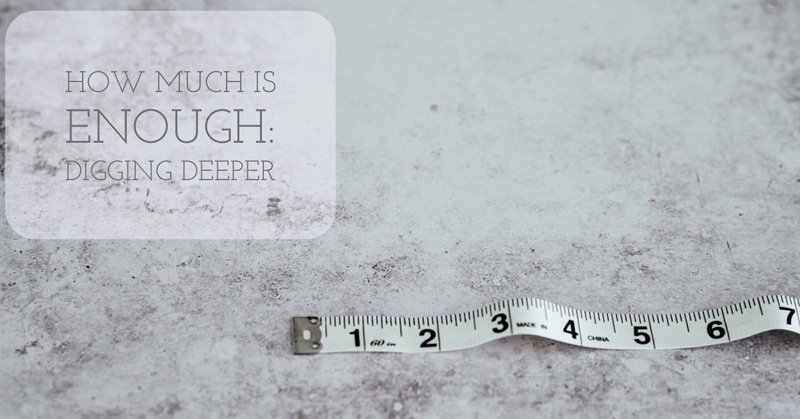 Catch up with How Much Is Enough? This is Roads Week Two! 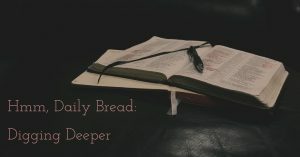 Check out Hmm, Daily Bread! 1) What did Jesus mean when He told the people not to look for “food that perishes” in verse 27? 2) What is Jesus saying with the phrase, “bread of God” in verse 33? 3) What does Jesus mean when He says in verse 35 that He is the “bread of life” and that there will be no more hunger and thirst? 28 “What can we do to perform the works of God?” they asked. In John 6:1, just before this passage, the same crowd of people we see here experience the miracle of Jesus feeding them with nothing more than a few loaves of bread and fish. When they seek Him out again, Jesus calls out the fact that they are looking for Him to meet their earthly needs, or “food that perishes.” Jesus wants the people to understand that they are searching for satisfaction in things that don’t matter, when He could offer them so much more – eternal life through belief in Him as the son of God. As Jesus continues to talk to the people, He refers to God’s past work with the Israelites, when He provided them manna from heaven to take care of their hunger (Exodus 16) before they made it to the Promised Land. In verse 30 above, the people ask for a similar miracle from Jesus. The motive of their request is to see another miracle, in order to confirm that Jesus is who He claims to be. Jesus responds by telling them that God has already given them something more in Him, through His life and ministry among them. Jesus tells the people that the only requirement is for them to believe in Him as the one and only Son of God. In Him, they can know life in a deeper and more meaningful way. Once again, Jesus exposes  the true heart condition of the people seeking after Him. Though the people say in verse 34 that they want the bread He offers, Jesus still knows they are still missing the point; the people are looking for their physical hunger and thirst to be satisfied. However, Jesus isn’t promising that physical hunger and thirst will not be an issue; rather, He tells them that they can have their deepest needs, their spiritual needs,  filled and met in Him, through placing their faith in Him alone. Physical needs are real, and we do have to deal with them regularly…there’s no getting around that reality. But how often are we guilty of the same thing these people were? Have you considered how many times you come to God seeking Him for his practical blessings, only when you have a felt need? Do you ask Him as often to meet your spiritual needs? Are you ever guilty of ignoring Him until there is something you want? Consider how you need to seek God for all things, not just the physical needs of this life. 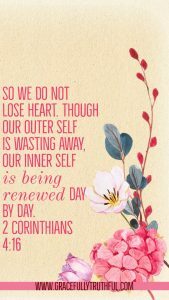 Don’t lose sight of the fact that earthly things are temporary. 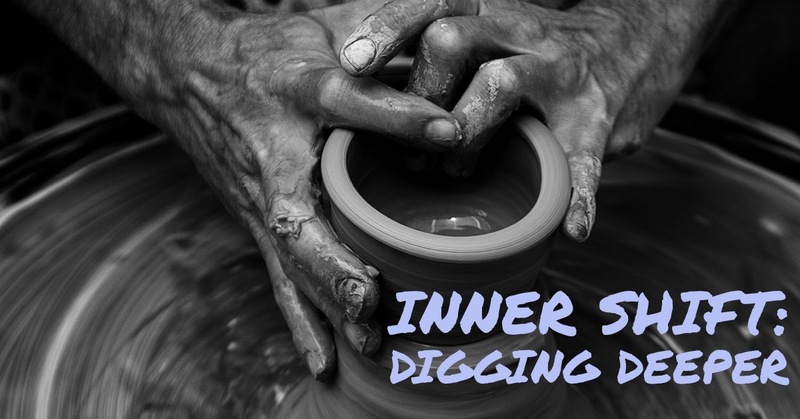 Jesus wants us to instead focus on the eternal, spiritual things that truly matter – our relationship with Him. Take a few minutes to examine your heart and your patterns of coming to Jesus with your prayers. It’s hard to admit our faults, I understand. But try to be honest with yourself. Do you relate at all to the demands the people make of Jesus? Do you ever find yourself looking for something that you want God to DO for you, all the while missing what he has already provided in the person of Jesus? We must always remain mindful of the truth that Jesus is all we truly need. He is the answer to every deep desire or hope. Are you ever in a place where you require proof from God, asking Him to do something specific to somehow prove His love or power to you? If we ask in that way, we expose a lack of faith and belief similar to the crowds Jesus was addressing. Instead, we should trust in His greater power, believing He will work on our behalf. In His time. In His way. Not according to our selfish requests. Jesus promises that in Him, we have all we need. Yet hunger and thirst are still a real part of life. We often have difficulty being satisfied. We covet what others have. We long for more. We want “just one more” of whatever we desire. Where do you still hunger and thirst for “more” than what He has already given? Consider why you struggle to be satisfied with what He has already provided. What things other than Jesus do you turn to in order to fill that need for more? How do you need to turn to Jesus instead, trusting in Him to provide for you? Write out as many thoughts as you can, with practical ideas of how you can place your trust in Jesus alone. Catch up with Hmm, Daily Bread! This is Prayer Week Two! Check out What’s In A Name! 1) What is important about calling God “Our Father”? 2) What does it look like for us to “honor” God’s name? 3) What does it mean for God’s name to remain “holy”? When Jesus decided to teach about prayer to the people who were listening to Him on the mountainside (Matthew 5:1), His first lesson was on structuring their prayers (beginning in verse 9). Jesus first focused on how to address the most holy God:  as FATHER. Jesus’ simple, uncomplicated model for prayer begins with acknowledging to whom we pray. Of all the names and titles given to God throughout the ages that Jesus could have emphasized, He focused on the one that reiterated the relationship God has with His people. He reminded those listening that God is their perfect Father. In fact, in verses 5-8, Jesus refers to praying to the “Father” 3 times. While it is not wrong to pray to Jesus and the Holy Spirit, for they are the other 2 persons of the One Triune God, Jesus establishes and models for us the normative practice of praying to God, the Father. Jesus’ instruction was to come before God with that kind of intimacy and knowledge – like a child approaching his or her father to have a personal conversation. 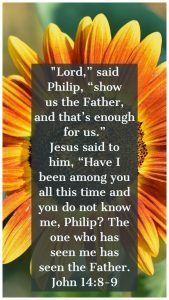 Jesus’ instruction continues to highlight the father-child relationship as He further instructs that God’s name is to be honored. There is a correlation here to the Ten Commandments in which God’s people receive the instruction to “honor your father and mother” (Exodus 20:12); Jesus reiterates a concept that would have been familiar to those listening. 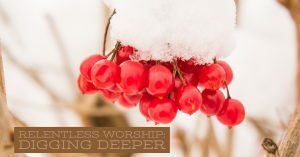 Not only are we to honor God because of His relationship to us as Father, but also in how we pray – not to be seen by others (verse 5) or in the number of words we use (verse 7). These two instructions from Jesus emphasized to His disciples that their prayers were to be focused on God, rather than their own actions. Jesus understood that there were many names that were treated as important by the people He was teaching – leaders, priests, idols, and so many more. As a result, He instructs the people listening to treat one name alone as holy, their Father in heaven. In a world full of options and idols, Jesus distinguishes the name of God as the only one deserving special significance. As mentioned before, Jesus’ instruction to address God as “Father” when we pray echoes Exodus 20:12 from the Ten Commandments where we are called to honor our earthly fathers and mothers. His instruction is a confirmation of the relationship we have with Him. We must be sure that we do not allow that relationship to be defined or distorted in any way by our earthly fathers;  no matter how good or bad our experiences may be, GOD IS MORE. Do you ever struggle to relate to God as your Father? If so, why would you say that is a challenge for you? What truth do you need to remember to help you better relate to God as your Father? If you are comfortable relating to God as your father, how does that impact your relationship with Him? No matter what activity we undertake, we are called to represent God well. This includes when we pray, whether in private or public. When you pray in private, do you give God the honor He deserves? How do you do that? Or are you ever guilty of treating Him like a magic bullet just when you need help? Or of approaching Him flippantly? Or with a demanding attitude? What about when you pray publicly? Are your thoughts ever dominated by what others may think of your words? In those moments, are you more concerned about your own reputation more than you are with voicing a prayer that honors His name? Do you ever find yourself concerned with getting the approval of others when you pray in a corporate setting – wanting to be seen as “wise” or “spiritual” by those listening? Consider your motives carefully and whether or not you are honoring Him in all your prayers. When you pray, take time to offer praise to God before petitioning Him for your own needs, creating space to remind you to Whom you pray. 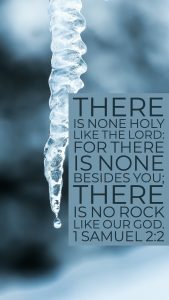 “Holy, holy, holy…” (Isaiah 6:3 and Revelation 4:8) is a phrase reserved for God alone. There are other references, of course, that refer to people and actions as holy. 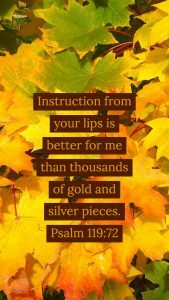 But the use of the three repetitions together is solely referencing the Almighty God showing that He is the only One worthy of that kind of praise. He is wholly different and set apart (which is the meaning of “holy”) from any other being in the universe. In order to keep God in His rightful place in our hearts, attitudes, minds, and actions, we must be sure that we don’t allow anything to have priority over Him. Our idols may not look the same, but we all struggle with them in one way or another. Where do you find yourself challenged to keep God in His rightful place in your life? What pulls for your attention above Him? Catch up with What’s In A Name! This is Prayer Week One! 1) What is the significance of having God as our refuge and strength? 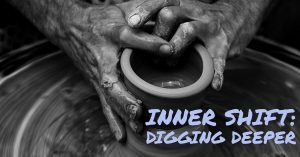 2) How is God my helper – doesn’t that seem “beneath” him? 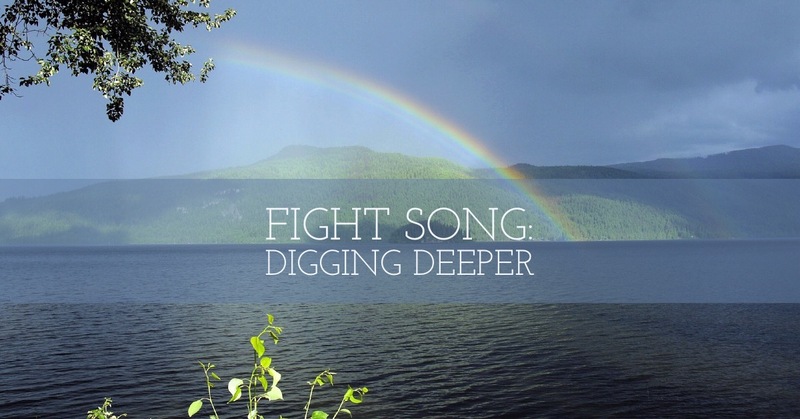 3) What do we need to know when we are fighting a battle? the holy dwelling place of the Most High. 5 God is within her; she will not be toppled. the earth melts when he lifts his voice. who brings devastation on the earth. 9 He makes wars cease throughout the earth. The specific background and occasion of this Psalm are not known, however the author is clearly familiar with battle and war, which was not an uncommon scenario for God’s people. From the opening line of, “God is our refuge and strength…” (verse 1) to the very last words, “…the God of Jacob is our stronghold,” (verse 11), the psalmist outlines the benefits of having God on the side of His people during struggles. 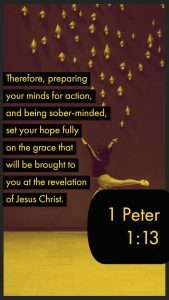 This part of Scripture acknowledges that the battles being fought were both real and difficult, and that the circumstances may have felt out of control. However, the author comforts God’s people by reminding them that the One who created and is in control of it all is for them. As their Refuge. God will give them rest when they are battle weary. As their Strength. God will help them to endure the battle. As their Stronghold. God will give them a safe place from which to fight. God’s people needed a reminder that He is “…a helper who is always found in times of trouble,” (verse 1). His presence would not forsake them. He would be at their side. No circumstance would be beyond His reach. Not only is God present, but He willingly offers up His help. He doesn’t passively watch what is happening while they fight, but instead intervenes and works on behalf of His children. Our finite, earthly problems are not too small or insignificant for the God of the universe. Not only that, the author also reminds His people that, “...God will help [them] when the morning dawns,” (verse 5). What the psalmist emphasizes is that God’s timing is perfect. While He is always there and present for His people, His tangible help for them comes when He determines the time is right. He wants His people to have confidence in the fact that His help will come, without question, and faith to know that He will offer it when He knows it will be best. The psalmist wants those who hear these words to know the truth. The reality of their struggles – crushing fears, roaring waters, quaking mountains, trembling earth, toppling mountains – is part of life. Even God’s chosen people cannot avoid the battle. However, the author also wants them to know that the battle is not theirs to fight. God specifically addresses His people and says, “stop your fighting, and know that I am God,” (verse 10). He promises to make the wars cease. And when He fights on our behalf, He becomes the center of the story, instead of His people taking the glory for the work of His hands, and His hands alone. “It is said of Luther that, when he heard any discouraging news, he would say, Come let us sing the forty-sixth psalm.,” (Matthew Henry Complete Commentary). This psalm is meant to lift us in our darkest of times, to give us hope for the morning. Let the reality of these promises sink deep into your soul – God is your refuge, your strength, and your stronghold – not accessible only for those who do the right things, wear the right clothes, go to the right places, say the right things, or “feel” close to God. No…He is those things for every imperfect and struggling one of us. You too. When your world feels out of control, where do you seek to find stability and strength for the fight? Do you turn to the One who can offer you what you need, or do you instead turn to counterfeits that will always fail you in the end? “I don’t want to BE a helper, I want to have one!” This is one of my favorite quotes from a friend, related to a wife’s role in marriage. Her statement was funny, yet it captures well the sentiments that can hide in the depths of our hearts. We often look at someone who simply “helps” as beneath us – less than and unimportant; so, imagining God with that role can feel a little bit…well, wrong. But when we do that we cheapen how God actually feels about us! We can be tempted to handle things on our own, so as to not bother Him with things too insignificant. Yet, that is not what God has asked us to do. He invites us to extend what we have received from Him to others in our lives to help them (2 Corinthians 1:4). Think about the people He has placed in your world. Who needs help right now? What experiences or gifts has God given to you that could be leveraged for the benefit of someone around you who is facing battle? How can you offer that help on behalf of God as a source of encouragement and strength? The “right Man” is none other than Jesus. And at a simple word, His victory is sure. Rest in that truth. Allow Him to fight your battles. Catch up with Fight Song! This is Worship III Week Two! I remember the moments like they were yesterday as we walked in the mall on a Saturday. The scene played out regularly. Inevitably, someone would stop the one of us pushing our twins in our stroller…. Stranger:  Oh my goodness, they’re so cute! But wow, that’s a lot of work. Me: Thank you. And yes, it is. Stranger:  I’m glad it’s you and not me, I could never do that. And then, the real fun started. The other one of us would roll up with stroller number 2, occupied by a 3 and 5 year old. Stranger:  Ooooohh. Wow. You guys have your hands full, don’t you? Stranger: (super chipper!) Well, remember God won’t give you more than you can handle. Really? Are you kidding me? Why do I feel like such a mess? Why do I get upset sometimes? In those moments, I knew those people were 100% wrong. They thought I could handle it. They thought God believed I could handle it. But 4 preschoolers was WAY more than I could handle. So why did people keep telling me that? Was I even cut out to be a mom? The tears would come and I would think, everyone keeps saying I can handle this because it’s what God gave me, so why am I having a hard time? None of those people meant any harm, but I know the words were harmful. and they were patently untrue. Why do people use that phrase? if we choose to obey and follow the way out that He will provide. That is where the danger comes in. What does that say to…. The parents who just lost a child? The addict who just hit rock bottom? The man overwhelmed by the pressure of work who is considering suicide? Those taking care of kids, parents, and grandkids all at the same time? Lonely spouses who cry themselves to sleep? I can handle it…I should handle it…. that’s what God expects me to do. Then in our struggles, we end up feeling like there’s something wrong with ME. meant to handle it by myself. “You got this…” he whispers in a loud scream. With that thought process, why is there a need for God at all? Why do I need grace? I just need to do more, be more, try harder, and handle it better. but NEVER more than He expects Jesus to handle for me. so much that they would have chosen death in the moment. put their trust in Him over their own strength. he didn’t have to handle it, because Jesus would handle it for him. Now that my preschoolers have become teenagers, the “Oh’s”, laced with pity and thankfulness it’s not them, have returned once again. But now, I process the comments differently. Parenting is more than I can handle. So is being a wife, much less a pastor’s wife, writer, employee, or friend. 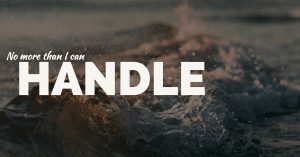 When I am allowing Him to handle it for me, the most overwhelming of circumstances is laced with a peace and rest in the strength that comes through someone bigger than me (Philippians 4:7). And when I do feel overwhelmed, it becomes a sign that I am relying on myself, not allowing Him to be my strength, song and salvation (Psalm 118:14). He promises to handle everything He asks me to do. I listen and obey, and He carries the burden. Thanks for joining us today as we journeyed into Misunderstood Week Two! Don’t miss out on the discussion below – we’d love to hear your thoughts! Here’s a link to all past studies in Misunderstood!